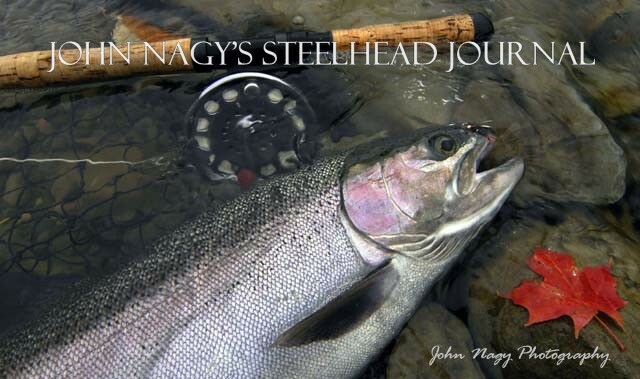 John Nagy's Steelhead Journal: John Nagy's New Book the "Steelheader's Journal" is now Available! John Nagy's New Book the "Steelheader's Journal" is now Available! 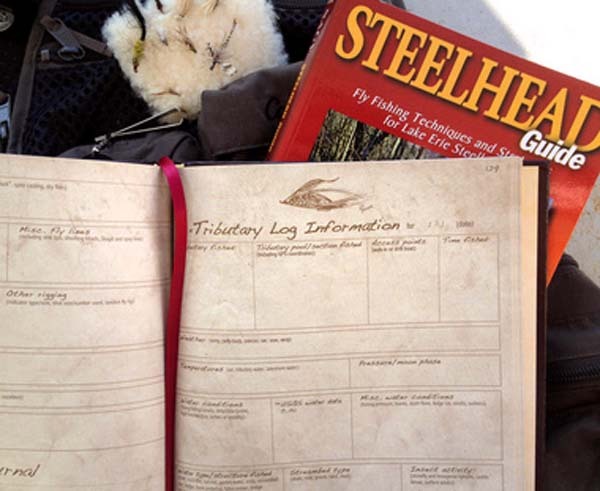 The “old school” feel of the Steelheader’s Journal invites the steelheader to slow down and reflect carefully and thoughtfully on the days fishing. It is leather bound with low-sheen, natural paper and sepia ink (including a silk ribbon page marker and sewn binding for durability). 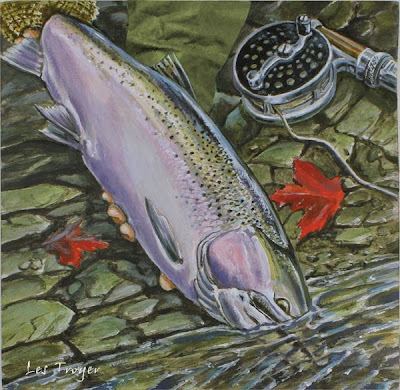 It is also illustrated nicely by steelheader and artist Les Troyer including two color painting’s titled “Steelhead Catch-and-Release” and “In the Right Spot”. Reviews of the "Steelheader’s Journal"
“John Nagy’s new book the Steelheaders Journal is a beautifully organized and helpful publication which all Great Lakes steelheaders will enjoy and learn from. The quality of the lay out, artwork and John’s carefully worded advice has a “coffee table” look which has to be seen to be appreciated. Some sections are set aside for data entry and recording of data on each fish taken including a diary of special moments which this kind of publication preserves forever”. Lani Waller (Steelhead legend, guide/lodge owner, author and creator of the classic 3M/Scientific Anglers video series on fly fishing for steelhead. He also wrote the classics “River of Dreams” and “A Steelheader’s Way”). <Matt Supinski (Great Lakes steelhead guide/lodge owner, writer and photographer/Muskegon,MI. The 10 year anniversary edition of Matt’s “Steelhead Dreams: The Theory, Method, Science and Madness of Great Lakes Steelhead Fly Fishing” is due to be released in the winter of 2011). 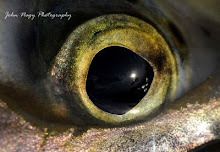 <Rick Kustich (Fly fishing author and photographer/Williamsville, NY. 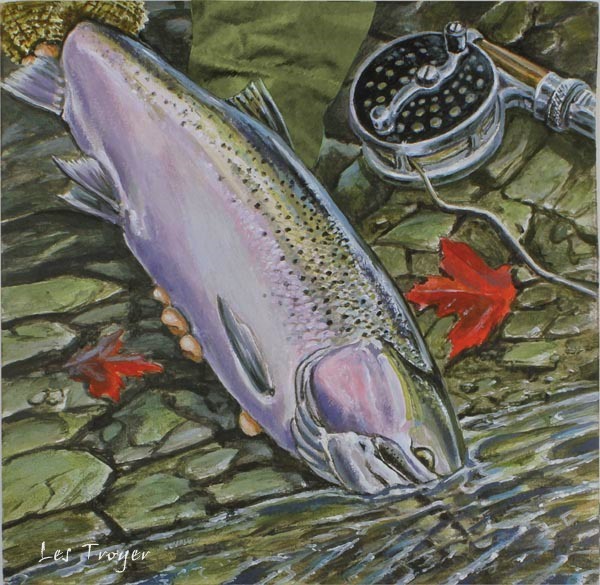 His upcoming new book is called “Advanced Fly Fishing for Great Lakes Steelhead” and will be released in February of 2013. 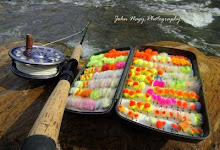 In addition to great writing and photography, Rick's book will feature 6 of John Nagy's Great Lakes tube fly patterns). "John Nagy's Steelheader's Journal will help you build a foundation of knowledge that will enhance your fishing experience, and also improve your chances of success when chasing steelhead in the tributaries of the Great Lakes. By using the journal to document your fishing experiences, you are laying the ground work for future success."